Your favorite beverages will look Cool and stay Cool with these uniquely Personalized American Pride Can Wraps. 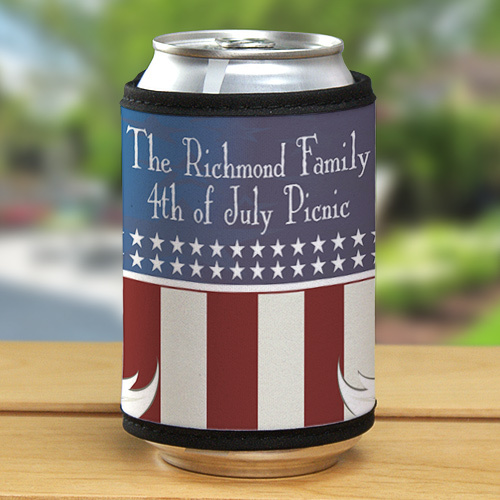 All of the people attending your summer party will enjoy a ice cold beverage from their Personalized Can Cooler while enjoying the sunshine and great cold beverages. Buy a personalized set for a special personalized housewarming gift idea. 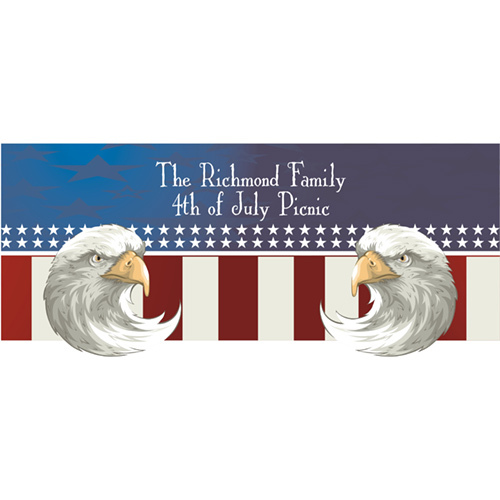 Your Custom Printed 4th of July Can Wrap measures 4" x 9 1/2" with velcro closure around your beverage bottle or can. Personalized can & bottle holder includes FREE Personalization! Personalize your Can Wrap with any two line custom message. Additional Details Personalized Can Coolers and Custom Printed Can Wraps are great Father's Day Gift ideas or Summer Picnic Gift ideas. Your 4th of July party will be a great hit with these fun, colorful Personalized Can Wrap.